Watching a plant grow and develop roots can be a long and tiresome process. But seeing plant development, as it unfolds, can expose to what happens to a genetically modified organism and how certain plant gene modifications can make plants do certain things. Robotic cameras and computerized motion control systems are making this process easier. Plant physiology researchers at the University of Wisconsin-Madison designed an automated image acquisition system, using robotic camera CCD imagers and XYZ vertical robotic gantry system ("PhytoBot"), to create time lapsed movies of plant growth in action. System collects images of the plants that have been genetically altered with the intention of understanding of how the genetic manipulation affects their growth and development. 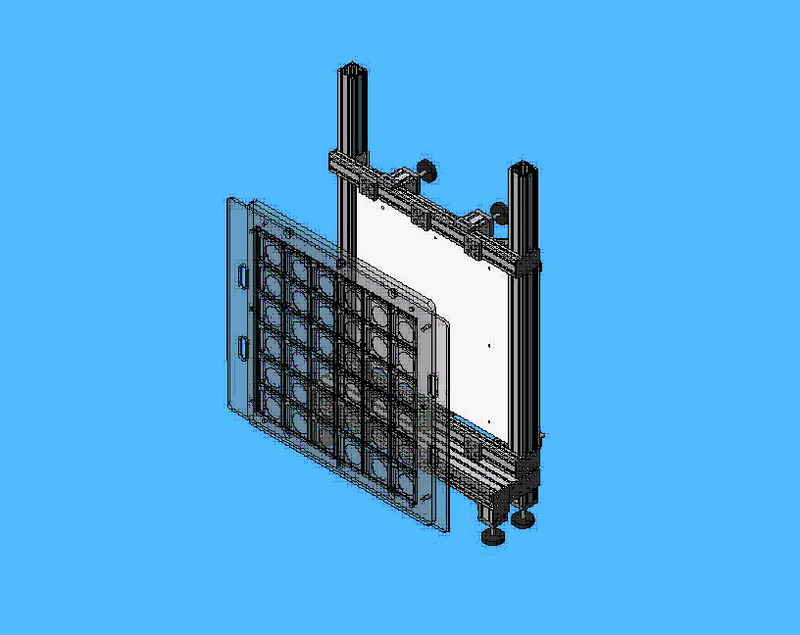 on a vertical tubular aluminum frame, to conduct 36 experiments in parallel. IntelLiDrives robotically controlled vertical XYZ gantry moves a pair of cameras between samples of growing plants. 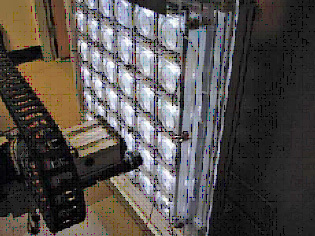 An array of infrared light- emitting diodes were mounted behind the fixture to provide the illumination for the imaging system. 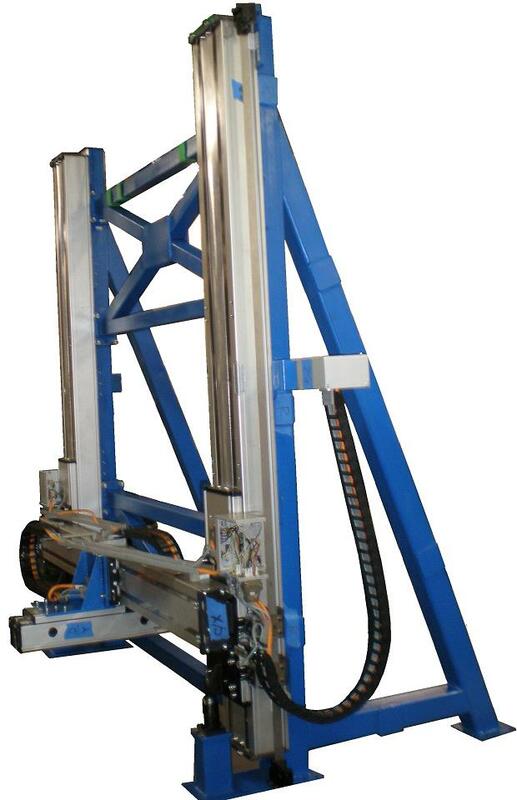 XYZ gantry consists of computer-controlled linear actuators, each integrating brushless linear servo motor with high resolution linear encoder, moves the CCD cameras over a 1m x 1m area with a positioning resolution of 10 microns. 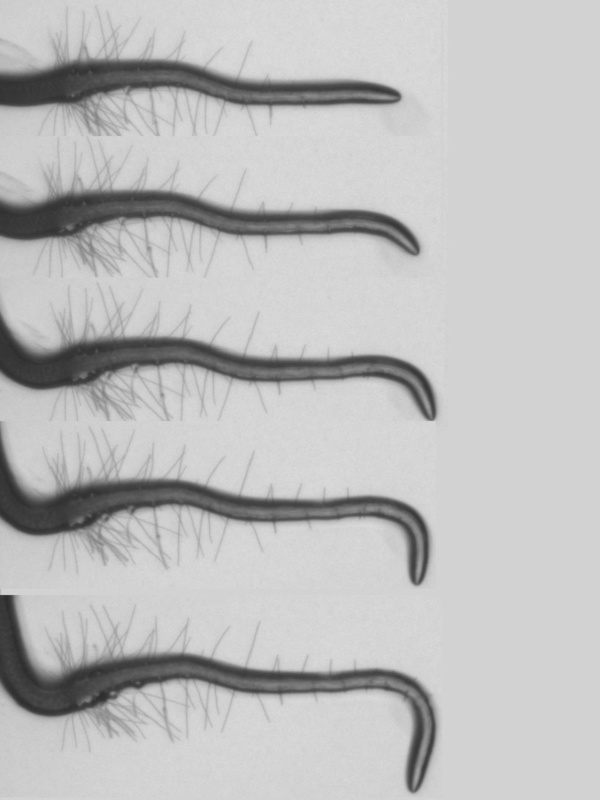 Additional linear axis allows change of camera's field of view to acquire well focused images of seedlings in Petri plates. Robotic camera snaps pictures every 30 seconds, capturing the curling, twisting motion of germinating seeds putting out new roots. After capture, the images are analyzed to determine cellular growth rates in the root as well as the angle and curvature of the root tip. Computer vision algorithms study the camera's time-lapse videos and measure the sizes of seeds, plants' cellular growth rates, the angle and curvature of the roots, and more. XYZ Robot with computer vision system gives researchers the ability to automate the plant growth time-lapsed image acquisition and processing and to increase throughput of experiments to track the plants growth and development. Now researchers can quickly find the genes that control plant's root growth and have fundamental importance to crop improvement. It lays the foundation for discoveries that will help improve plants for human purposes. Images and movie clips presented in this article are courtesy of University of Wisconsin-Madison Plant Imaging Center and IntelLiDrives, Inc.
For additional information about operation of this XYZ Robot and plant imaging research, please visit respective web sites University of Wisconsin and IntelLiDrives.